Six generic drug companies, including Heritage Pharmaceuticals and EpiPen-maker Mylan NV, conspired to manipulate prices of two common drugs, 20 US states allege in a new lawsuit. The lawsuit, filed Thursday in US District Court for the District of Connecticut, says that the six companies — which also include Mayne Pharma, Aurobindo Pharma, Teva Pharmaceuticals, and Citron Pharma LLC — participated in price manipulation of doxycycline hyclate, an antibiotic, and glyburide, a treatment drug for diabetics, Reuters reported. Heritage Pharmaceuticals Inc. is named as the “ring leader” of the alleged scheme. A company spokesman said any price-fixing it conducted was the responsibility of executives that no longer work for Heritage. 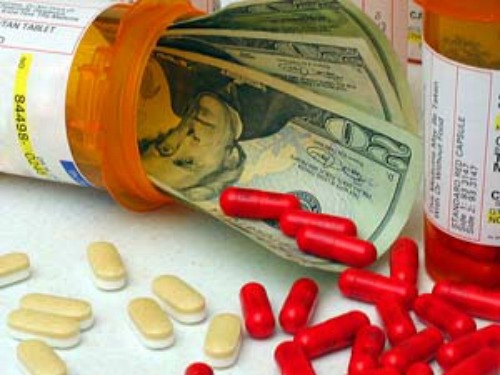 The lawsuit is connected to a larger antitrust investigation by various states and federal law enforcement of more than two dozen generic drugmakers. Most of the companies are cooperating with authorities, and charges could come by the end of 2016, Bloomberg News reported last month. The suit alleges that drug company executives and others “entered into numerous illegal conspiracies in order to unreasonably restrain trade, artificially inflate and manipulate prices and reduce competition” for the two drugs, the New York Attorney General’s Office said in a statement.